This is the 68th line supplied by ICMA in the specific area of WPCs (Wood-Plastic Composites), a market niche invented and developed by the company itself since the early Seventies. The Woodstock sheets are largely used in the automotive industry for internal trims, footwear applications and for construction applications which became more and more popular. The line has been designed to process by direct extrusion polyolefins compounded with wood flour in 1,700-mm wide sheets. The hourly output of 1,500 kg puts this line amongst those with the highest capacity available on the market. The line is based on a MCM/140 - L/D 40 co-rotating twin-screw extruder, equipped with two side feeding units and downstream equipment of advanced design. One of the challenge has been the production, using the standard calendering technology, of high thickness sheets up to 12 mm, which is one of the new market demand for construction applications. 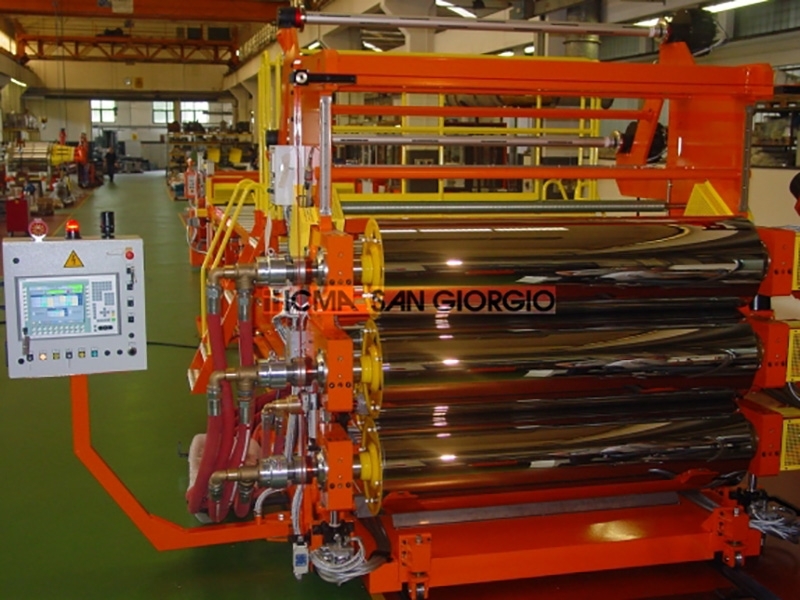 For this reason the calender, has been designed with a specific feature: the flexibility of changing the roll axis position, to reach the optimal calendering point for each sheet thickness. This design will give additional advantages in the optimisation of plastic coating on the textile substrate which completes the final product. According to the benefits ensured, the efficiency of the roll cooling system was also enhanced. A new further development is the pre-arrangement of the calendering group, for installation of an extrusion coating system to apply a decoration/functional material on sheet surface. This will allow for cutting the product cost and opening a new application area.